Though the report is a few years old, its content remains relevant. The comprehensive report functions as testimony to CSPI’s tenacious plea to FDA to ban all synthetic food colors in the United States. 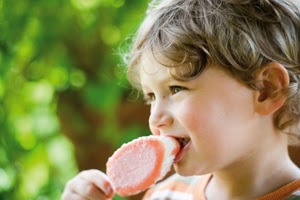 Synthetic food colorings have been the subject of controversy since the 1970s, when a pediatrician first suggested a correlation of intake to children’s behavior. They came under greater scrutiny in September 2007 after the results of a British study from the University of Southampton showed a correlation between artificial food colors and exacerbated hyperactive behavior in children. Even though many medical experts questioned the study’s protocol, it stirred consumer concern and continues to do so. Since the Southampton study, CSPI has taken the position that all synthetic food colors should be banned in the United States. The reality is CSPI is not a fan of any food colorings. The nonprofit group believes all colorings deceptively enhance the visual attractiveness of foods and beverages. This, of course, is no secret. Most of us eat with our eyes first, and then taste the food. 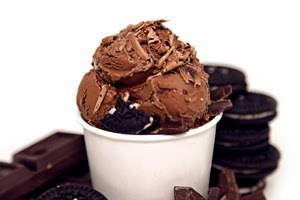 Food colorings are not going away…but choosing clean-label food colorings is the direction that many food and beverage manufacturers, in particular dairy processors, are taking as they go forward in product development endeavors. I wrote an article entitled “Color Considerations for Dairy Products,” which was published in Food Business News this past December. It can be accessed HERE. 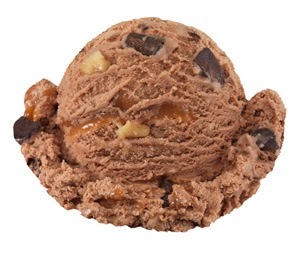 One of the key attributes to consider, as mentioned, is clean label. This is according to Global Food Forum Inc., as outlined at its 2013 Clean Label Conference in Chicago at the end of October. To view a video on "What Clean Label Means to Consumers," click HERE. More is less for many consumers when they are examining ingredient labels. 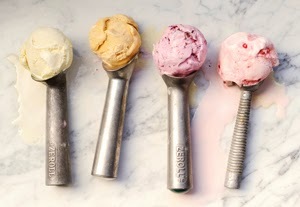 And when it comes to colors, this ingredient category is increasingly being scrutinized. According to the 2013 Food & Health Survey published by the International Food Information Council (IFIC) Foundation, the addition of color additives to food is a growing consideration when making food purchases. When the 1,006 survey participants were asked to think about product attributes influencing their decision to purchase packaged foods or beverages during the past year, 23% of respondents in 2013 considered if the product contained food colors. This is up four percentage points from 2012. The survey results also indicated that women are more likely than men to consider food colors, as are highly educated consumers (with a college degree or more). 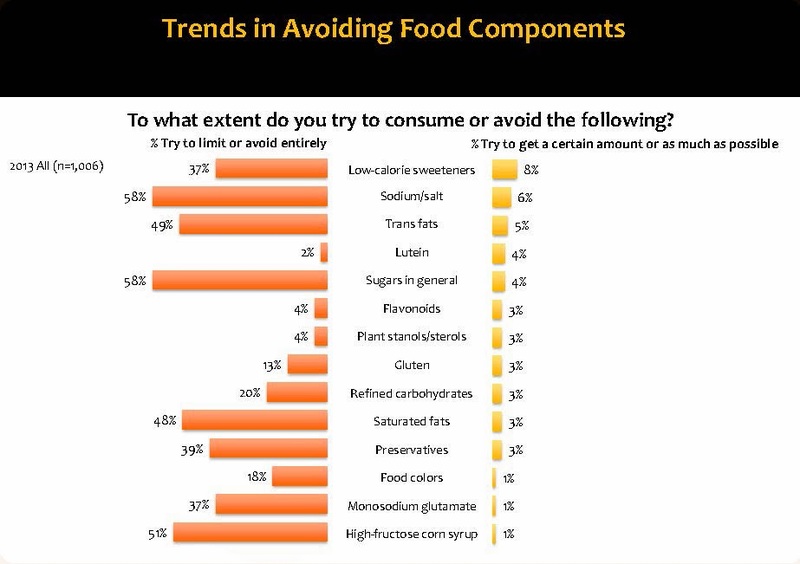 Eighteen percent (18%) of the respondents further indicated that they are consciously trying to avoid food colors. This data, and similar opinions cited in other research, have made color selection critical for dairy foods formulators. After all, most dairy products complement today’s consumers’ desire for clean, simple and natural foods. Undesirable colors can ruin that pretty picture. To view a video interview on "Label Friendly Natural Flavors and Colors," click HERE. Whole Foods Market’s “Unacceptable Ingredients for Foods” list, which can be accessed HERE, often serves as a guide for manufacturers and consumers regarding what is a clean-label ingredient. The lists identifies the following as unacceptable: artificial colors, carmine, certified colors and FD&C colors. Other than carmine, the other three terms all refer to the same group of synthetic colors. Carmine, on the other hand, is not a synthetic color; however, its source—insects—has deemed it unacceptable by Whole Foods. Dannon uses it and has taken the position that it is a safe and commonly used red coloring that many food makers use. “It is used in many food and other products because it is safe and it delivers the best color,” according to Michael Neuwirth, senior director of public relations at Dannon. Because carmine does cause serious allergic reactions in some consumers, FDA requires it to be identified on the ingredient statement. 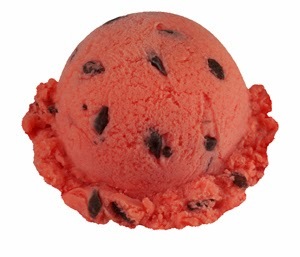 Interestingly, others in the food and beverage industry must value the power of carmine, as red has been identified as the most challenging hue to obtain through natural sources. Red, selected by 39% of respondents, ranked highest. Green and blue scored 19% and 13%, respectively. Other technologists voted for black, purple, yellow, brown or orange, but none selected white from the list. Seven (23%) of the 31 technologists work in the beverage industry. The confectionery, dairy and meat/poultry/seafood sectors account for 19% each. The bakery/snack/cereal sector represents 13% of participants, and others account for 6%. If carmine is not an option, ingredients derived from beets are likely a dairy processor’s best bet for red. Betanin is the main coloring compound present in red beets. The colorings responsible for the red hue of red beet juice are a group of molecules called betalains. This group of pigments contains the red and yellow pigments known as betacyanins and betaxanthins, respectively. Red beet root hues vary further depending on the betalains extracted. Betacyanins are magenta pigments, while betaxanthins are yellow pigments. The distribution of extracted pigments varies due to factors such as beet root cultivar and extraction method. Like most food ingredients, not all beet juice extracts are the same. 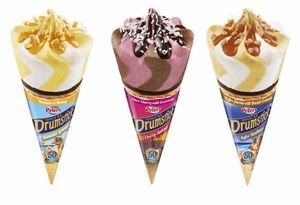 To read more about “Color Considerations for Dairy Products,” click HERE. 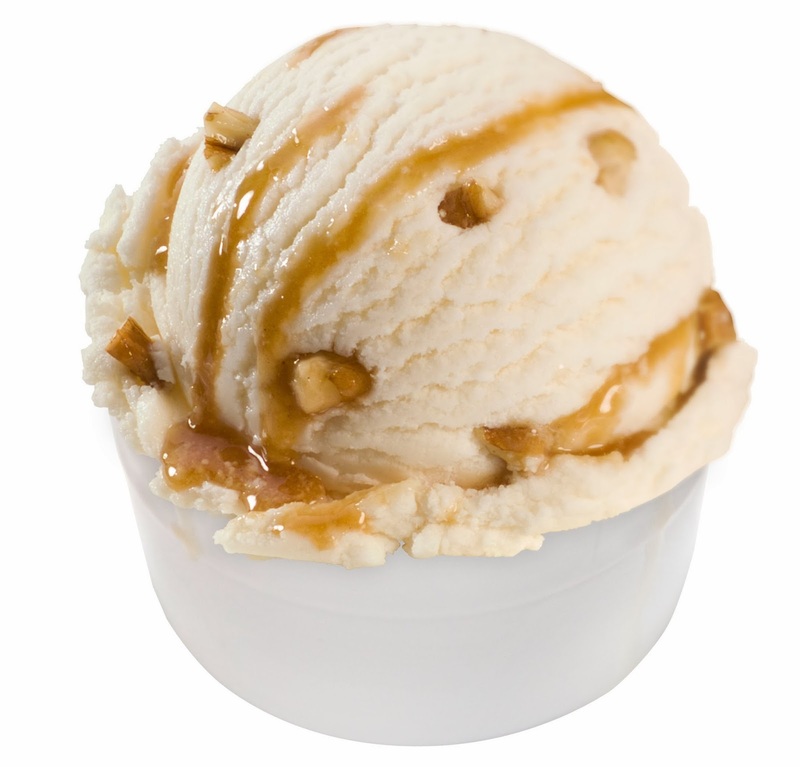 To learn more about "New Flavors with Incidental Color: Caramelized Apple and Caramelized Onion," click HERE. About a year ago, I blogged about the opportunities with cottage cheese, the original high-protein dairy food. 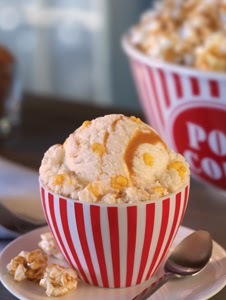 You can read more HERE about cottage cheese making a comeback. And you can read more HERE about high-quality dairy proteins and their role in the daily diet, especially their importance at breakfast. It is exciting for me to report on some recent innovations in the category, at both retail and foodservice, in the States and abroad. But first I must congratulate the Daisy Brand on its amazing cottage cheese product and its dedication to marketing and promoting the product. Made with three simple ingredients—cultured skim milk, cream and salt—the curds in this product are perfect little cubes and the dressing is smooth and clean. It’s the only cottage cheese I buy! For more information, visit HERE. 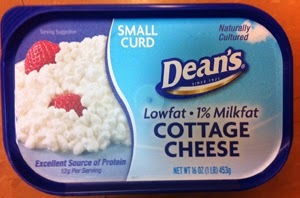 Kudos goes to Dean Foods for its new cottage cheese packaging. Since the first of the year, the company has been phasing out the traditional plastic round tub and is rolling out a rectangular resin container with in-mold labeling. This one-step package decorating method helps manufacturers save time and money by integrating the labeling process directly into the forming process. It involves the insertion of a pre-decorated label that can be made from a variety of materials and printing processes into a mold prior to injecting the resin. 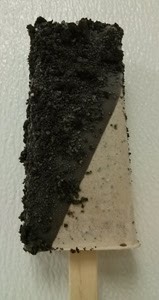 The label bonds to the surface of the molded part when a thin layer of the label re-melts and solidifies with the resin. 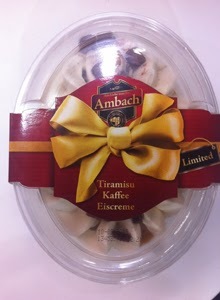 The new packages sport a contemporary look and are designed to attract younger consumers to the category. 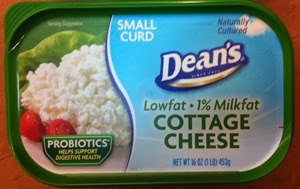 All of Dean’s cottage cheeses will be available in this package, including its low-fat probiotic formulation. For more information, visit HERE. Accolades also go to Farmer’s Fridge for breaking the mold on fast food by offering healthy and delicious meals that are made daily and sold in innovative refrigerated kiosks throughout the Chicagoland area. Farmer’s Fridge gives people who are looking for healthy foods a new option: gourmet salads and snacks with the push of a button. Everything is made fresh each morning and delivered by 10 a.m. to an automated kiosk. Farmer’s Fridge offers foods that provide a variety of vitamins, minerals and antioxidants. Packaged in recyclable plastic jars, customers can choose from several delicious salad options, as well as breakfast and snack items, each designed to offer various benefits of a healthy diet. Dairy highlights on the menu include the Farmer’s Salad, which is cottage cheese, radish, cucumber, sweet pepper, snap peas, tomatoes and chopped dill. 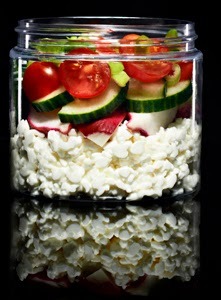 The 199-gram salad contains 140 calories, 2.5 grams of fat and a whopping 20-grams of protein. There’s also a Greek Yogurt Parfait made with Greek yogurt, strawberries, blueberries and local honey. For more information, visit HERE. And finally, U.K. retailer Tesco is launching a new range of healthy foods to help its customers lead healthier lifestyles in 2014. The new brand, Tesco Healthy Living, replaces Tesco Light Choices and Tesco Eat Live Enjoy. 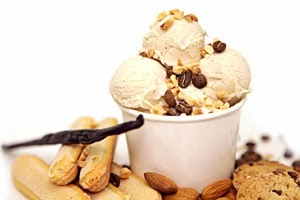 It aims to give customers an easy and even more appealing way to control the amount of salt, sugar and fats they eat, without compromising on flavor. The range includes more than 230 products, from bakery and ready meals to yogurts and healthy treats…and, of course, cottage cheese. About 85% of the whole Healthy Living range is new or improved. All Healthy Living branded products have controlled levels of salt, sugar, fat and saturated fat and none are red on nutritional traffic-light color coding. Each product has also been benchmarked in customer taste panels against Tesco own-brand range equivalents, to ensure they match on flavor. The cottage cheese line comes in a natural formulation, as well as six flavors. Four of them--Cracked Black Pepper, Onion & Chive, Pineapple and Sweet Chili--had previously been offered. 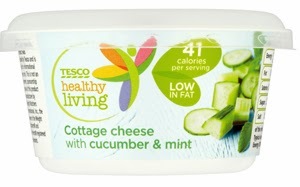 Two--Cucumber & Mint and Fruits & Seeds (cranberries, apple and pumpkin seeds)--are new to Tesco's cottage cheese lineup. For more information, visit HERE. Hopefully you have some cottage cheese contemporizing projects in the works. I would love to hear about it!